From paper cranes to solar sails, looks like the Japanese art of origami is making its way into the space world. As you can see in the video above, origami serves a great purpose for launching sails into space — it makes them easy to fold. And this makes it easier to pack into a rocket for the crucial launch phase, before unfurling in orbit. “This is a unique crossover of art and culture and technology,” stated Brian Trease, a mechanical engineer at NASA’s Jet Propulsion Laboratory who co-created the concept with Shannon Zirbel, a Ph.D. student in mechanical engineering at Brigham Young University in Utah. Origami and solar arrays have been explored before, particularly with a type of fold named after Koryo Mirua (a Japanese astrophysicist). This allows structures to unfold with a single tug; in fact, there’s only one way to open or close the structure. This was tested in space on a Japanese satellite called the Space Flyer Unit in 1995. 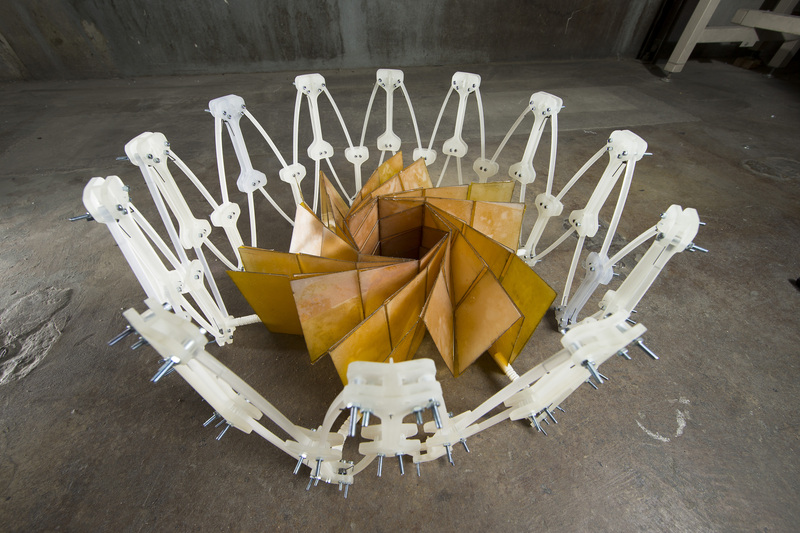 This new solar array, by contrast, uses several kinds of folds that makes it look “like a blooming flower that expands into a large, flat circular surface,” NASA stated. While the technology is in the early stages, it’s possible these could be used on CubeSats (small satellites) in the future. This blog post doesn’t explain the unfolding process. Are eight astronauts and a fixed point in space needed? Or that large white structure around it in the other picture, and how is that unfolded? I would like to see a little more substance in some of the posts here. Some value added to the news tickers cited. Previous PostPrevious What is Nothing?